We Provide Collision Repairs For Most Insurance Companies. Collision Service And Repairs For All Makes And Models. 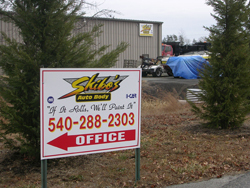 Skibo's Auto Body & Paint Shop is owned and operated by Steve Phipps. Steve grew up in this industry learning from various people, one being his Father. With over 34 years of experience and Mastering all certification's such as ASE, I-CAR, PPG & many more! Our location is convenient and easy to find at: 109 Wyche Road, Stafford VA 22554 which is located a half mile off Route 95 Stafford Exit, 1.5 miles off of Route 1 (Jefferson Davis Highway). Our Hours are: Monday through Friday: 9am to 6pm. Steve Phipps is at the top of the Auto Body & Paint industry. "When I go to purchase a product, I expect quality & to get what I pay for! That is what I do for each & every customer that walks in my door." ~ Steve Phipps. Here at Skibo's autobody the customer is our #1 priority! We will provide you with the best quality work on your vehicle, with an excellent price! Each vehicle is done with the customer in mind, not the insurance companies! Although Skibo's does work with all Insurance, the priority is the customer! Skibo's is a small, locally owned and operated business! Performing all auto collision repairs, painting, refinishing! Quality and professional work, certified and warrantied for any type of vehicle including commercial! We also welcome Fleet vehicles! Skibo's Auto Body provides free estimates & in some cases pick-up and delivery, to Stafford & surrounding areas! 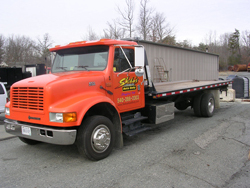 Towing services are available which makes it convenient and easy to serve individuals and companies throughout Stafford, Fredericksburg, Aquia Harbour, Quantico Marine Base, Curtis Park, White Oak, Chatham Heights, Lee's Hill, Falmouth, Brooke, Chatham, Hartwood, Warrenton, Garrisonville, Quantico, Massaponax, and all communities and businesses within Stafford County. Whether you need body work, painting or pin striping on your car, truck, van, RV, tractor trailer, or some piece of equipment, Skibo's is happy to provide our fully licensed, insured and certified services to make your vehicle or equipment restored to like-new condition. Skibo's Auto and Paint shop specializes in Custom Painting, Paint Refinishing, Auto Repairs & Hail damage. Our staff and mechanics are trained & certified by ASE, I-Car, PPG, and more. 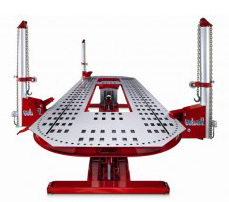 Whether you need body work, painting or pin striping on your vehicle, RV, Tractor Trailer, or some type of equipment. Skibo's Autobody, is happy to provide our fully licensed & insured, as well as certified services to make your vehicle or equipment to a like-new condition. We guarantee our work!. We keep up to date with state of the art equipment & our certifications to ensure you the best auto body, painting and complete service at excellent prices! Here we treat our customer the way we would want to be treated! We take into consideration, customer's request's, and we will give you the best price and best quality work in the area! We are happy to provide pick-up and delivery & we can arrange for towing service If needed. We provide free insurance estimates for body work and painting on any domestic or foreign vehicle, RV, boat, jet ski, tractor trailer, bus and construction equipment! Whether you have one vehicle or several pieces of equipment, Skibo's Autobody is ready and equipped to handle any job! We also provide quality work for fleet services! "My Honda Odyssey had some damages on front bumper & fender and this auto shop fixed them professionally and made them as a brand new. I paid much less than what Pohanka Caliber and Vision Auto Graphics & Collision estimated. I am very satisfied with this body repair. I recommend this shop without any reservation." Feel free to call Skibo's Auto Body & Paint for all your collision repairs, hail damage, auto body repairs, auto body painting, RV painting, construction equipment painting, tractor trailer painting, or boat painting. We will be happy to discuss your needs, arrange for towing or pick up and set up a schedule to get the work done professionally and to your satisfaction! Remember - even if your car, truck, van, equipment or recreational vehicle such as a boat or jet ski doesn't have its own wheels but can be moved or towed, we will fix those dents, replace those fenders or panels, and paint it with quality color matching and factory baked finishes and PPG Commercial Coatings.